Just sneaking in before the Easter break with a last minute tutorial. 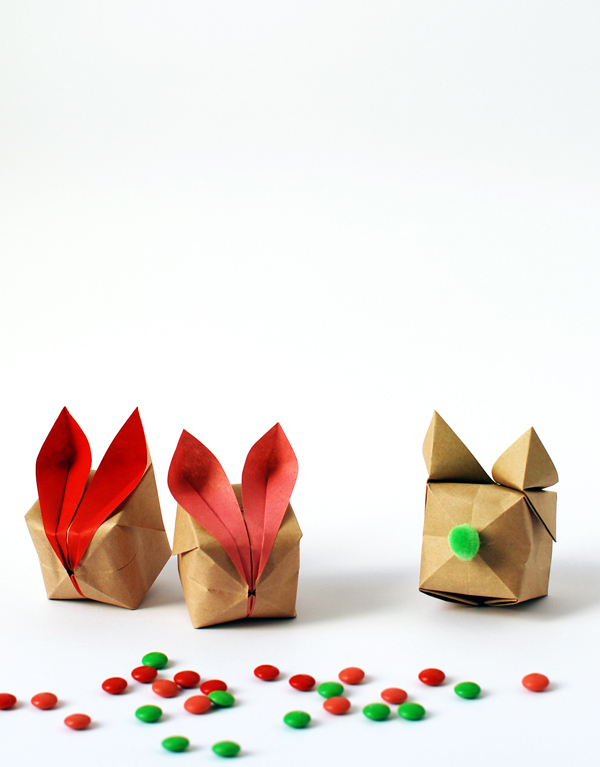 Make these cute origami Easter bunnies for treat boxes or as decorations. This is a traditional origami design which is fairly easy to make and will look lovely on an Easter table setting with surprise treats inside. psst… that napkin is a very sneaky peek at one of the fabrics from my new range. Add some candy. 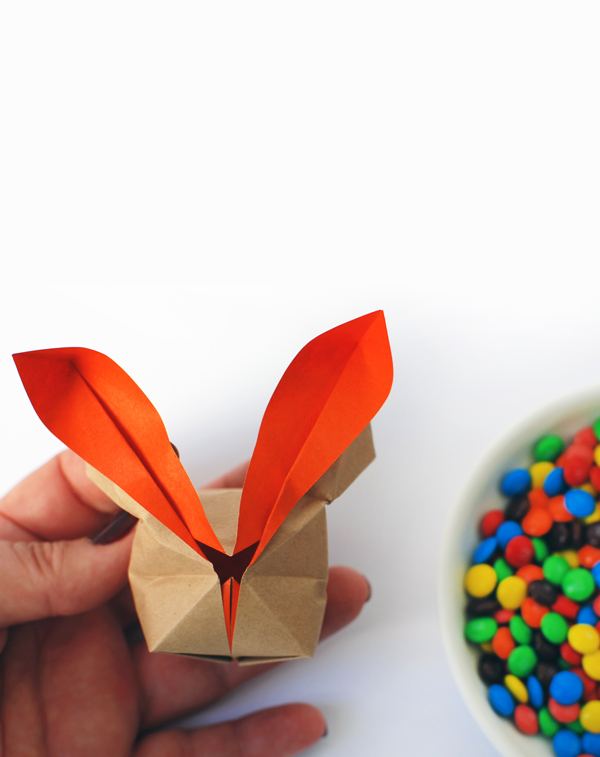 Lift up the side flaps to open the bunny’s mouth and carefully pop in some mini M&Ms. The perfect surprise treat box! Give your bunnies cute little pom pom tails. I created the mobile tutorial for Craft Tuts+. All my step by step origami instructions and tutorial to make these cute Easter Bunnies can be found there. Happy Easter!